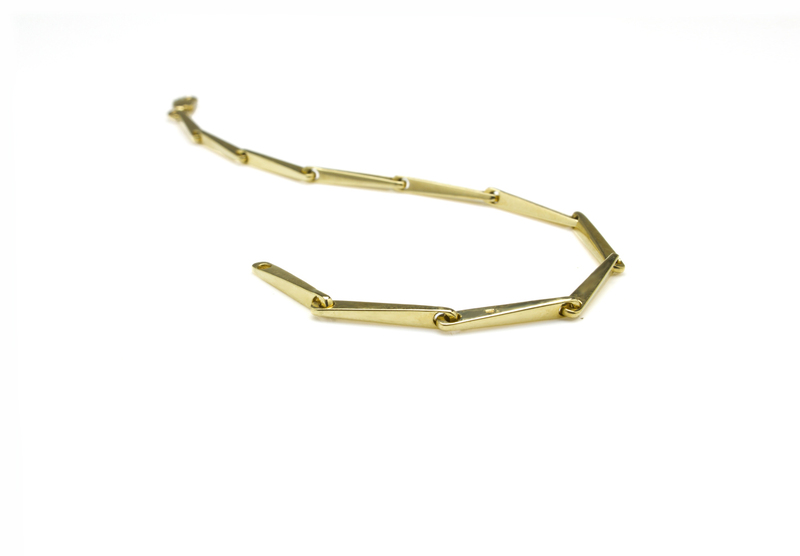 Smooth, tapered links that catch the light and flow gracefully into a simple and versatile chain bracelet. 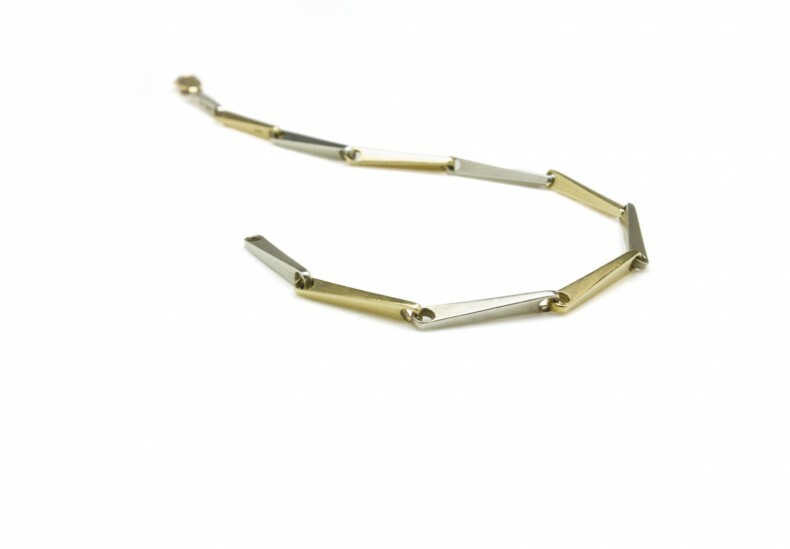 Shown in: silver and 9ct yellow gold. 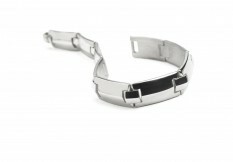 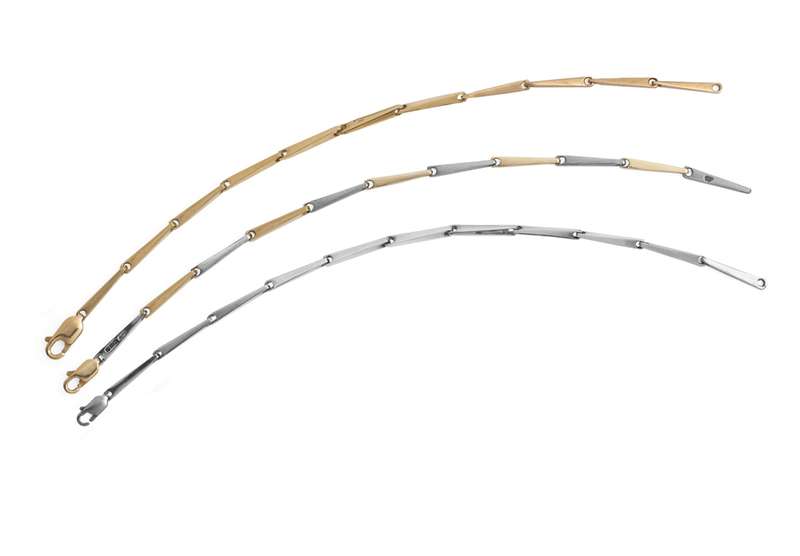 Available in: Any length in silver, white, yellow or red gold, platinum or palladium. 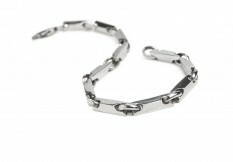 Alternating metal colour combinations are also possible.